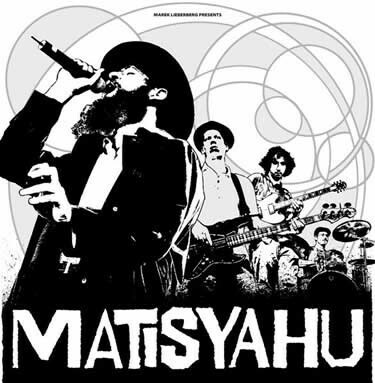 A week before Matthew Paul Miller’s, better known by his stage name, Matisyahu, show at First Avenue in Minneapolis on August 27, I had never heard his music. A few days later, a friend exposed me to Shake Off the Dust…Arise and said tickets to the show were cheap, so I figured what the hell. Well it’s been two days since the show, and I still haven’t listened to anything but Matisyahu since. The Jewish reggae/hip-hop/alternative rock superstar and his band, the Dub Trio, shook the famous First Avenue floor for about 2 straight hours. Sporting his new clean-cut look, Miller sang, rapped, beat-boxed and crowd-surfed through a set filled with sweet beats, expertly-crafted words, incredible instrumentation and all-around good vibes. As someone who has never been impressed with a lot of electronic beat-making or DJ work, I was very pleased to hear a more organic, instrumental set similar to Arise and Youth, rather than the more processed sound of his later releases. The Dub Trio was on point all night: Dave Holmes switching between brilliant guitar fills and ambient background riffs, Joe Tomino laying down solid beats, and Stu Brooks (MY DEAR GOD) absolutely blowing my mind with his sick bass grooves. There were times during the show when Matisyahu knew there was nothing for him to do but walk to the side of the stage and let the crowd watch these guys do their thing. My first impression after seeing him live is that the man is simply a true performer. Witty yet friendly, gentle yet forceful, it is clear the man has nothing but a good time up on stage—and yet it is just as clear how serious he is about his craft, how important his music is to him. He wears his passion on his sleeve and bellows it out through his voice, making his energy infectious and his performance impossible to ignore. It is this passion for his music that has left me here aching for more two days after the show, unable to get enough. If you appreciate Matisyahu’s music to any extent, do yourself a favor and see him live.